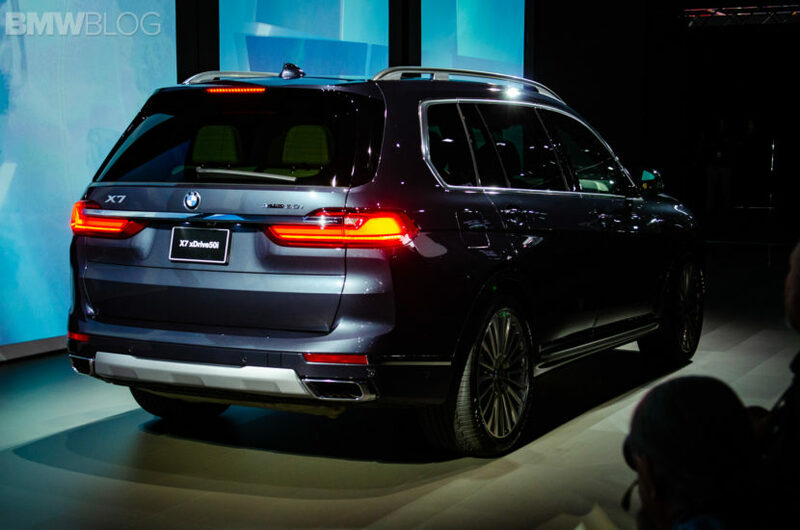 The 2018 Los Angeles Auto Show has seen the introduction of BMW’s largest SUV ever made – the new X7. It was also the most visited model at the BMW stand with lines of people waiting to take their turn at experiencing the luxury SUV. As you’ve seen in the previous photos, the design is polarizing, but in person, the kidney grille somehow fits the overall design of the front-end. 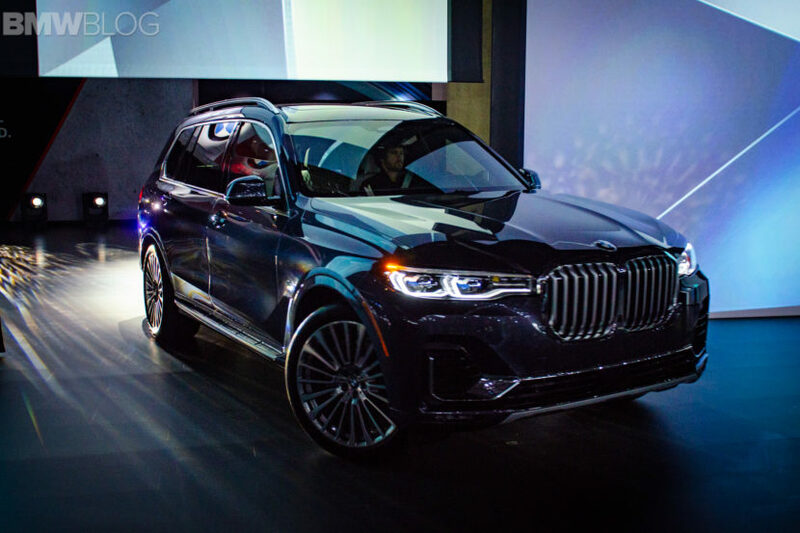 It’s also a different approach by BMW design compared to the competitors’ large grilles which tend to extend even more vertically or horizontally. The rear-end is certainly easier on the eye and safe from many critics. The highlight is of course the liftgate and the cargo area which provide easier loading and lots of space. There is also a cool button labeled “MAX” which basically lowers the third-row seats and pushed forward the second row for lots of cargo space. Another button intelligently placed on the tailgate allows you to lower the car for easier loading. Speaking of the third-row seating, we worked with Danny from BMW USA to help us test the headroom and legroom. Being 6″3 tall, he’s the perfect customer to see how far you can push the limit of the third-row bench. The result is in the video below. To make live easier while traveling all the way in the back, BMW has included its own set of climate controls, a smaller moonroof and a set of USB type C charging ports. The base X7 xDrive40i model is powered by a turbocharged 3-liter six-cylinder engine with 335 horsepower and 330 pound-feet of torque. The top xDrive50i sports a turbocharged 4.4-liter V8 with 456 horsepower and 479 pound-feet of torque. Both the X7 xDrive40i and xDrive50i feature all-wheel drive, electronic power steering and an eight-speed ZF automatic transmission as standard equipment. An air suspension is standard, but customer can also choose the Dynamic Handling Package with high-performance brakes, adaptive suspension. The X7 xDrive50i also has a sporty rear differential. Pricing starts at $73,900 for the X7 xDrive40i and $92,600 for the X7 xDrive50i before destination.